Our advice and information team have it covered. From diagnosis to treatment, from driving to skydiving. Everything you need to know about living with epilepsy. Do you know what to do when someone has a seizure? Read our info or take our free online learning. Just for kids Join the gang! Epilepsy can be lonely. 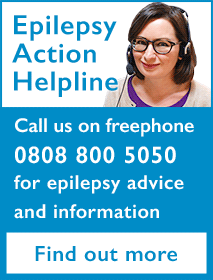 Our local groups provide support to people with epilepsy, their family, friends and carers. We provide online and in-person epilepsy training for schools, businesses, care staff and healthcare professionals. Resources and training for healthcare, education and care professionals and researchers. You can make a difference for people with epilepsy. Become an Epilepsy Action member or fundraise for us. Fight for the services and support that people with epilepsy need – and deserve. Support people with epilepsy in your area, help improve our services or help us raise funds. Group in Northern Ireland express their journeys with epilepsy through art. The epilepsy magazine for you, with personal stories, news and epilepsy information.